Integrated boat houses overlook the river and provide idyllic views across the estate. 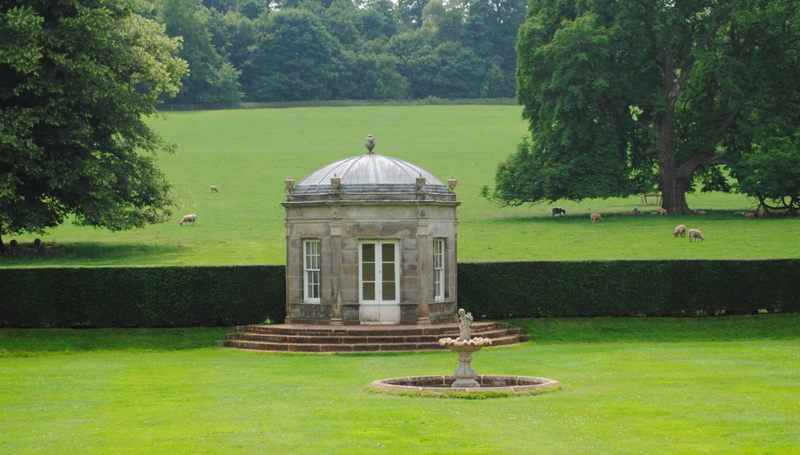 The urn on a pedestal (background) is the Monument to Michael Drayton dating to circa 1760 and is Grade II* listed. 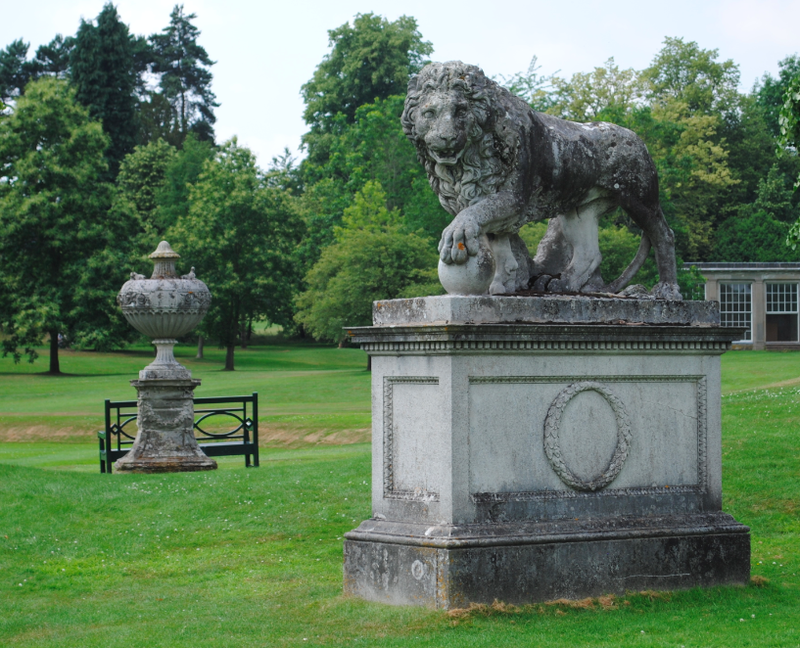 The lion statue (foreground) is the work of Joseph Wilton which dates to circa 1760 and is also Grade II* listed. 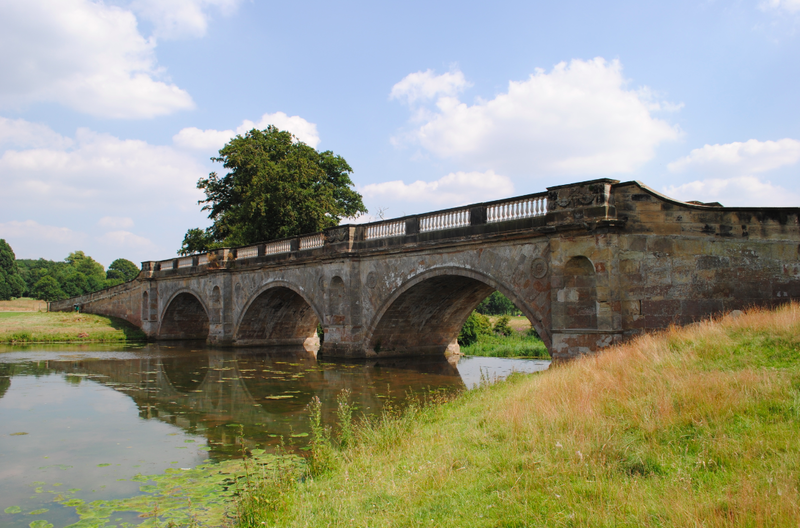 Dating to 1770, the bridge was the design of Robert Adam. 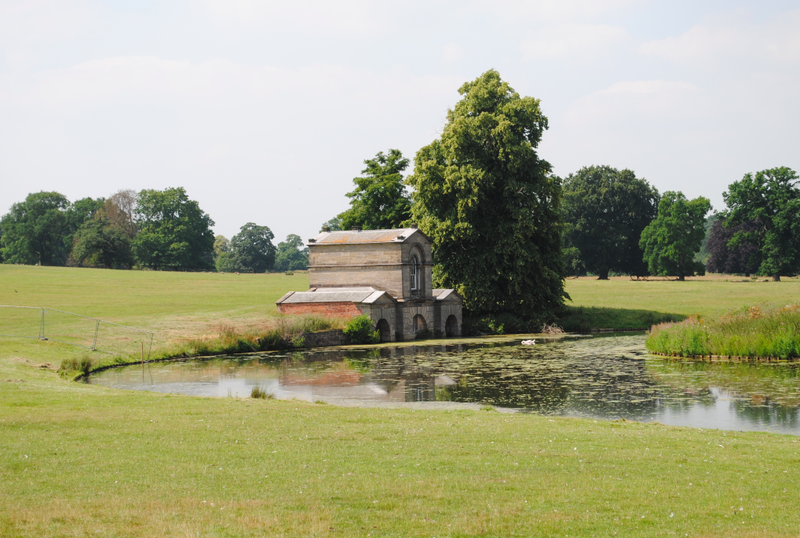 Grade I listed, water descends beneath the three arches into the middle lake of the grounds.